Crow droppings, your time is up. The Poopmaster 6000 begins his holy work at the corner of SW 5th and Salmon. Behold, the glorious Poopmaster 6000. 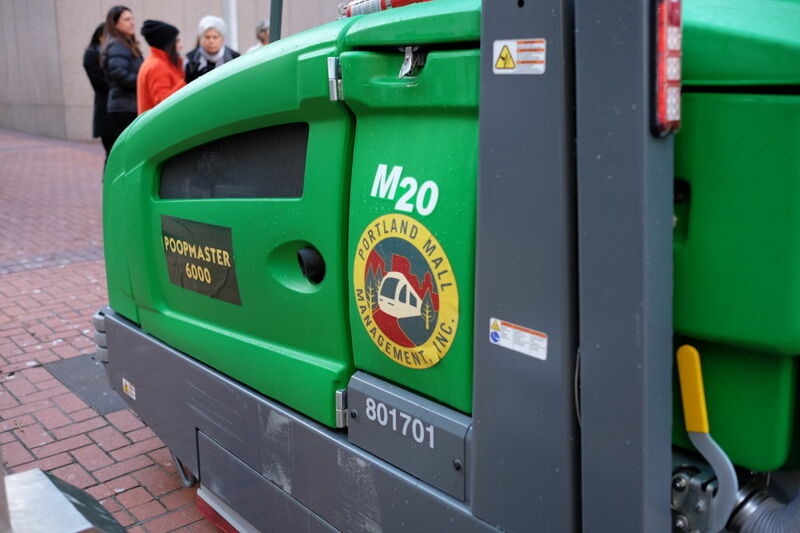 The morning of Tuesday, December 13, for the second year in a row, the Poopmaster 6000 began working its way up and down Portland's transit mall, scrubbing away crow droppings that accumulate there each winter. Every weekday from now through the spring, the Poopmaster will patrol roughly 10 blocks along SW 5th and 6th, from SW Madison to SW Jefferson. 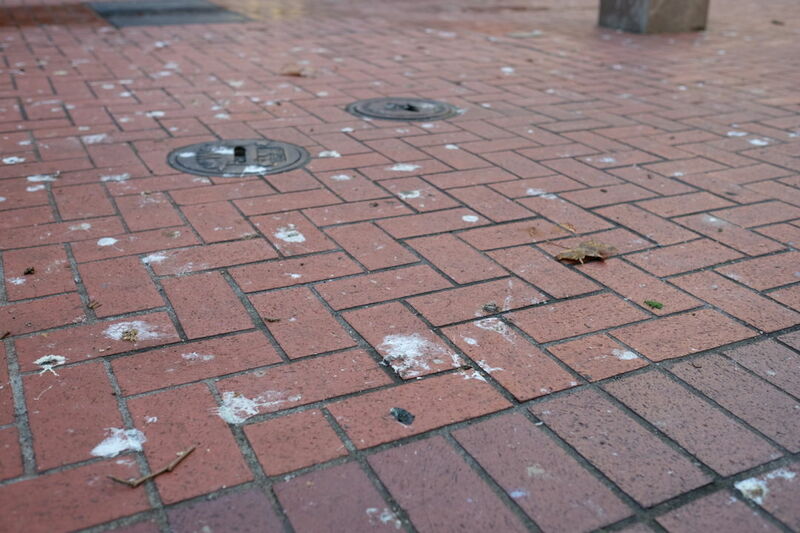 According to organizers onsite, the crow poop problem is new to this part of downtown. The dastardly crows once perched mainly along the Park Blocks near Portland State, where droppings posed less of an aesthetic issue. 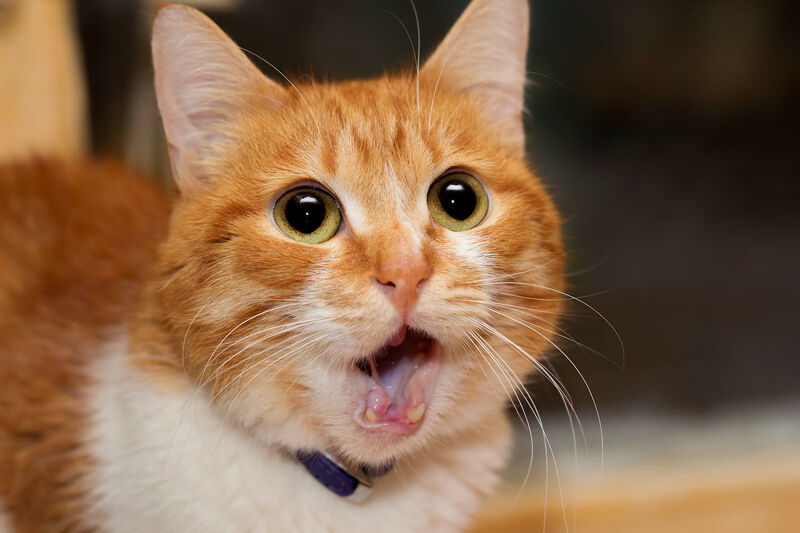 The crow poop in question. 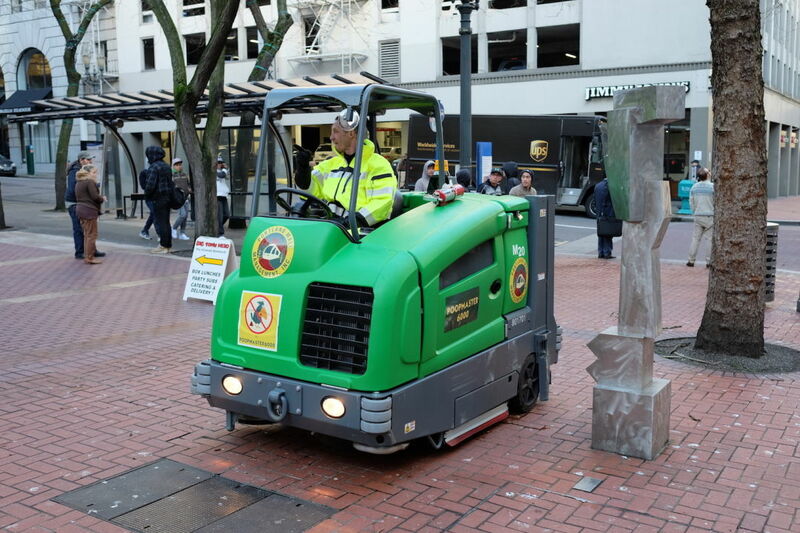 The machine—actually a rented and temporarily rebranded Tennant M20 "Integrated Rider Sweeper-Scrubber"—is funded by the Portland Mall Management, a nonprofit jointly funded by the city, TriMet, Portland State, and the Portland Business Alliance. The machine uses only water and is operated by an employee from Central City Concern's Homeless-to-Work Program. Asked what became of the Poopmasters 1-5,999, organizers had no good answer.